Mr Jeya Prakash was born in south India, the eldest of 9 siblings. From the age of five he dreamed of being a surgeon and pursued his calling with single-minded dedication, culminating in acceptance of a UK assignment in 1978. He has not looked back since and continues to enjoy complete fulfilment in his profession. As an expressive man with an artistic flair, it seemed natural for him to lend his skills to Aesthetic Surgery and, coupled with his acute sense of proportion and beauty, these skills have produced results prompting a high rate of patient satisfaction. Over the years this has led to much positive media attention but, above all, his personal and professional pleasure ultimately comes from a happy and fulfilled client. He has an active and passionate interest in Age Management Medicine, the principles of which he has followed in his own life over the last 6 years. Having personal experience of how effective it is, he can extend these benefits - and his knowledge of Age Management Medicine - to his clients. He believes that the opportunity to age gracefully and healthily should be made available to all who desire it. Mr Prakash completed his MBBS and MS in South India. Following his assignment in UK he completed his FRCS in the UK. He served in the NHS for 14 years before setting-up his own practice. He has been performing aesthetic procedures since 1988. Age Management ,being a field that has emerged gradually in the last 12 yeasr, Mr Prakash has been involved in the same, for the last 6 years. He makes it regular practice to attend and present at conferences, to keep abreast of the latest developments in the field. He attends atleast 4 conferences and presents at, atleast 2 conferences each year. He is a also a clinical investigator, with a well reputed aesthetic pharmaceutical company. As a visionary he has a special interest in stem cells therapy and minimally invasive aesthetic procedures/treatments. He invests in getting the latest surgical instruments, evaluation equipment and software for his clinic and clients. As a result his clinic is one of the best equipped in the field with the ability to show tangible results of client treatments and programmes. He has a passion for innovation in medical computing especially in relation to 3D quantification of aging process and aesthetic surgery. Mr Prakash’s personal philosophy has been that of aiding in graceful and successful aging. This follows through in his aesthetic surgery and age management practice. His surgical results are ‘naturale’ as opposed to having an over stretched, done up look. In his view ,the best compliment that he can have for his work, is in the form of such a comment, on his client ‘ You look fresh and re-vitalised, have you had a good holiday?? ?’ not ‘ what have you had done’. He believes in realistic expectations and promises his patients ‘a good improvement ‘, ‘not perfection’ ,as a results of his procedures/ treatments. He is known for his honesty, and is very clear with his clients on what is achievable, within the limitations of the results. If he feels that the results of a surgery/procedure are minimal ,as compared to the extent of the surgery/procedure, he is forthright in expressing the same. He carefully evaluates, the degree of improvement in relation to the options, and only recommends a procedure/surgery when the benefits outweigh the risks. He gives utmost importance to personal health, and belives that only when one is in good health, it is possible to achieve the best results and enjoy the results of any procedure to the fullest. Having been in this field for 18 years Mr Prakash has helped a variety of clients in improving their appearance and life style. He believes in beauty and health inside out, a complete transformation for the better. 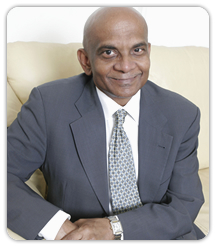 Mr Prakash’s surgical and non-surgical aesthetic skills have seen him written about in some of the top international and UK newspapers and magazines.He has featured in the Daily Mail, The Sun, Sunday Times, The Daily Mirror to name a few.